This Modern Innovative Folding Travel Guitar may not look like a traditional guitar but it does sound like one. It boasts 19 frets and can be played by either a right handed player or a left handed player. This guitar is very versatile in several different ways. If you love unique and modern inventions you are sure to be impressed by this cool instrument. 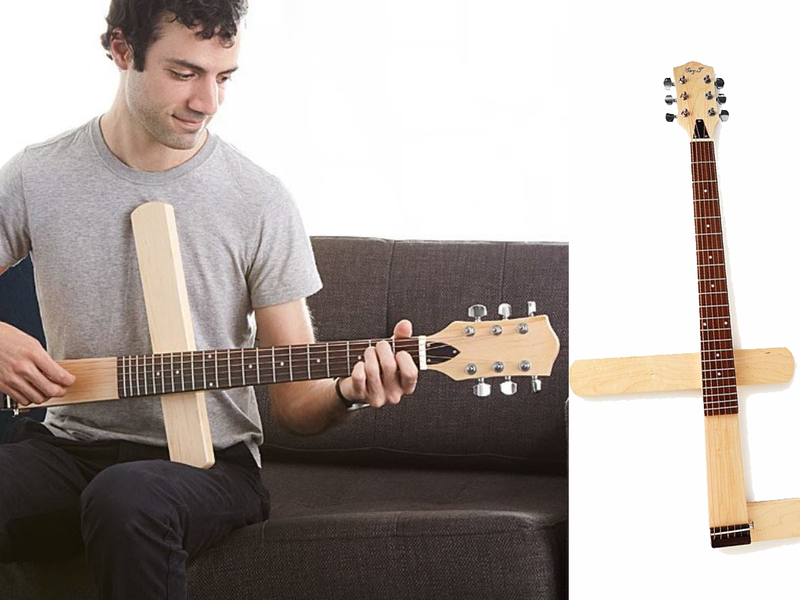 A very cool gift idea for any guitar player because it is so cool and unique. Any musician who has a collection of instruments will love to have this guitar as part of it. If you play the guitar and also like to travel you can now take music with you wherever you go. A great idea for buskers, travellers, camping, holidays, students or anyone else who needs to transport their instrument. Because it folds down it it less likely to be damaged during transit and takes up less space. Instead of having to check in your guitar as extra luggage you can pack this one in any large suitcase. This is a handmade item that is made in Taiwan. 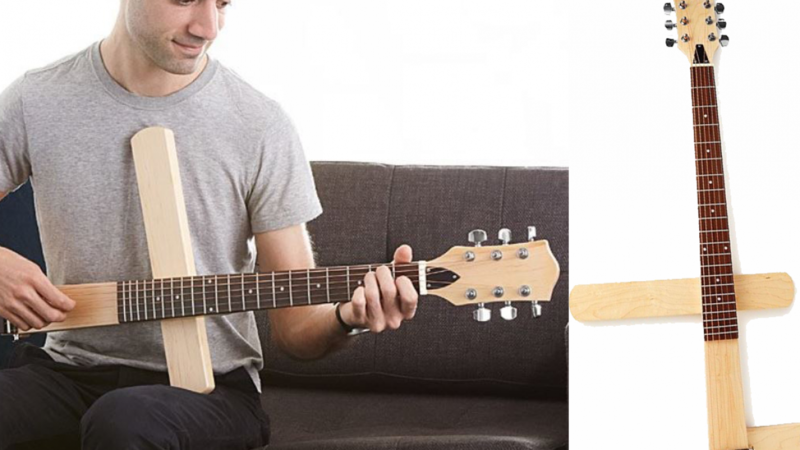 The guitar features a rotating arm that is made from American maple wood. Indonesian rosewood has been used to create the fingerboard. The inventors name is Cory Tang. Corey has studied classical guitar for several years and in 2008 he decided he wanted to design and make guitars.